We never leave the mall without paying a visit to the toy store, "Toy Kinggom" as Raizo calls it. He would sometimes bug us to go to the mall because he wants to go to the toy store daw. 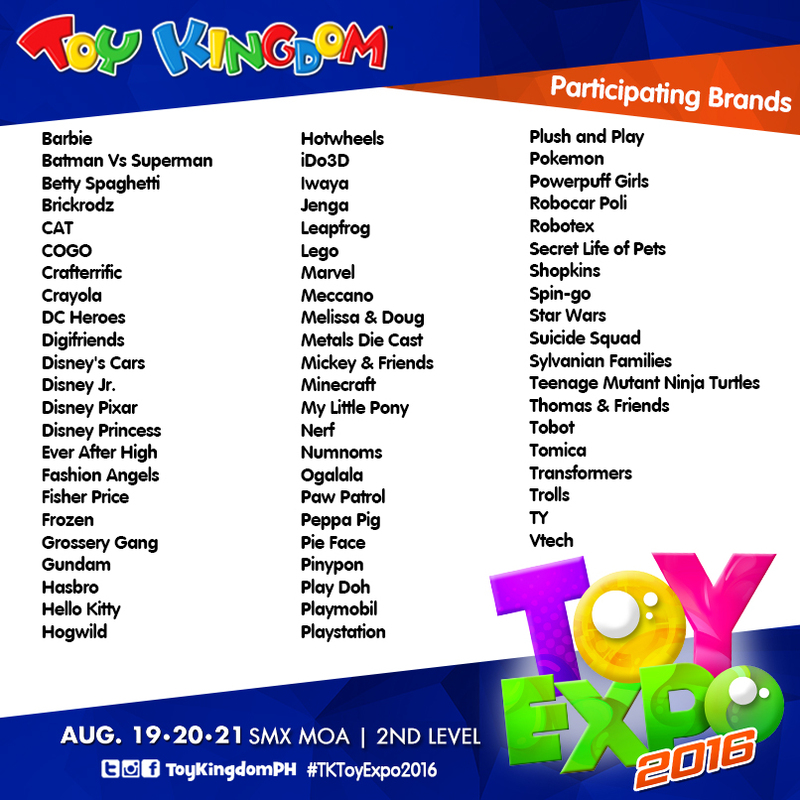 Toys to kids is like moth to a flame! We've been seeing Toy Kingdom's Amazing Toy Expo commercial on Cartoon Network and ever since the kids saw it, they've been bugging us to go and to the expo we go this weekend! 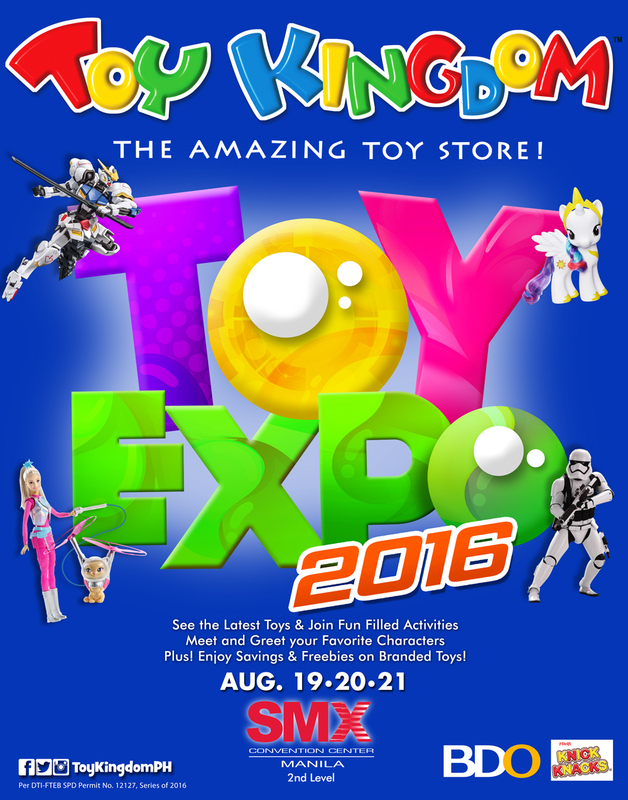 The Toy Expo 2016 is happening this weekend (August 19-21) at the 2nd level of SMX Convention Center! 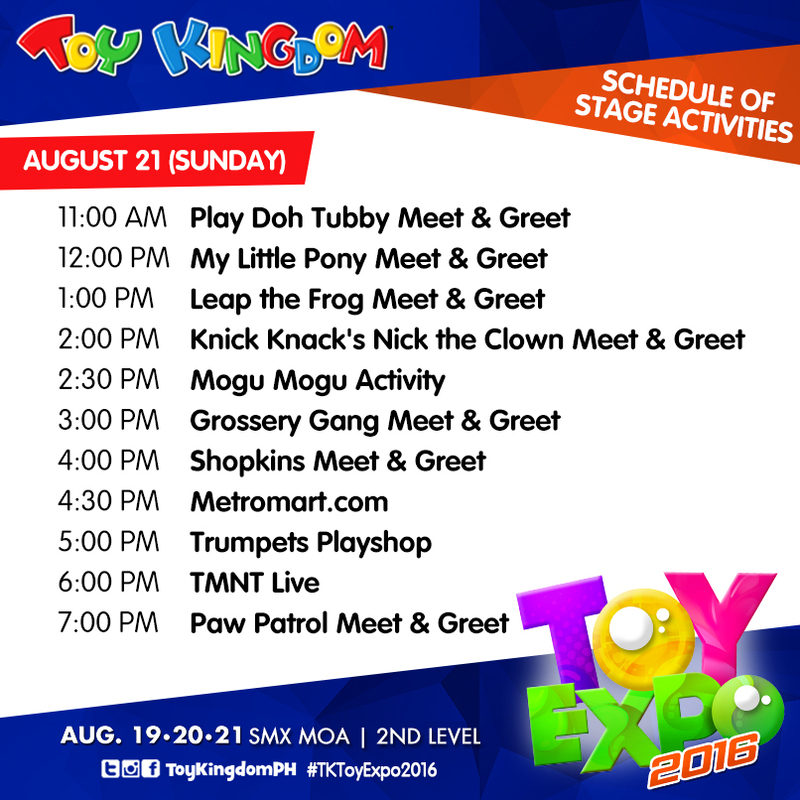 Get first dibs on the newest and upcoming toys in the market, special price offers and freebies awaits shoppers! 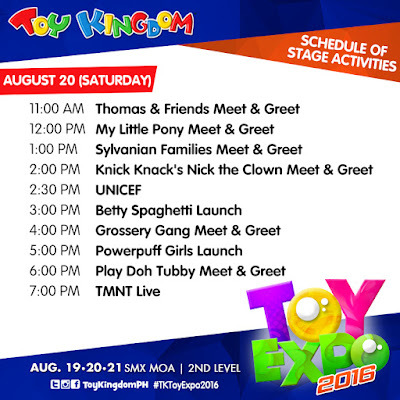 Bring the whole family as there will be something for everyone! 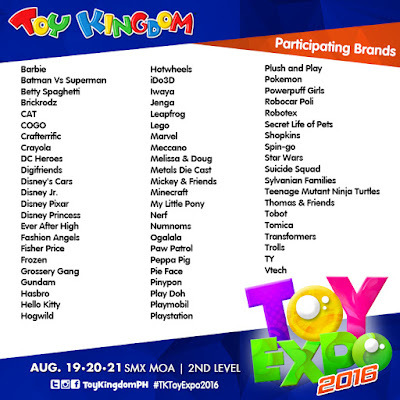 Dad can have a sneak peek of the latest toys like Suicide Squad or Star Wars, Mom can buy all the Plush and Play plush toys, and the kids can have all the fun at the meet and greet of Shopkins and Power Puff Girls for Y and Paw Patrols for R! Ohh I can't wait! Here's the schedule of stage activities this weekend! Visit www.toykingdom.ph for more details!